Some people can live life spontaneously, sticking to a schedule only when it’s absolutely required: a job with regular hours, or kids who need to go to school. I’m one who needs a plan. (And yes, when I write, I’m a plotter.) That doesn’t mean the plan is inflexible; just that it exists and is mostly workable. But too much deviance in routine typically means I get nothing done. Case in point: no blog last week. It is tough being the traveling dog! The main reason there is that Sunday is my blog writing day, and my past two Sundays have been spent at DD’s house near her university. Two weeks ago, we moved her in. Last week, her roommates were all there, so we went back. DH wanted to do a brief teaching session on “house stuff,” i.e., breakers, water shutoffs, furnace filters, etc. Then there were a number of little things to fix–things that were our responsibility, since we’re the landlords. Isis went along too–her job was to keep the seat warm in the truck on the way to and from, and to look cute while there. 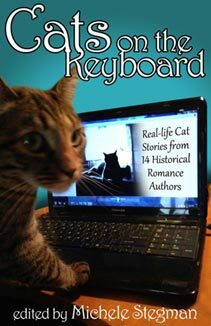 All things worthwhile to do, just meant that my writing has taken a back seat. My other challenge in the writing is dividing time between creating new material, and marketing what’s already out there. Until this summer, I’ve pretty much given no attention to the latter, and since then, it’s been almost all marketing (mostly learning), making me grumpy because I haven’t written. Both are necessary, but I have trouble shifting from one to the other. So this week, I decided it’s time to put into practice a good idea I’d read a while back: spend one day a week on the marketing, the rest on writing new fiction. Today is the beginning of that, so we’ll see how that goes. 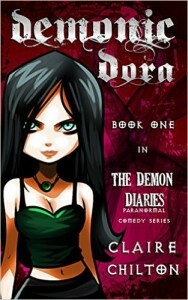 What I read last week: Demonic Dora by Claire Chilton. This YA fantasy is categorized under “dark comedy,” and that’s a very appropriate description. The main character, Dora, is constantly annoyed by her religious fanatic parents and finally succeeds in summoning a demon–a bumbling, and very cute teen boy demon. She ends up going to stay with him and his even nuttier family in hell, and it’s one absurd situation after another (and I mean absurd in the very best way). 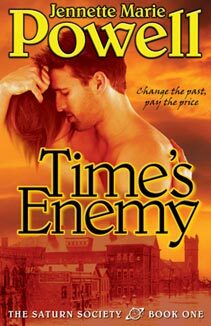 As the stakes got higher, I turned the pages faster, and will definitely pick up the next in the series. As a side note, my favorite character was Dora’s fuzzy, brown pet demon named Pooey. The prequel is free on all the major retailers, and you can get Demonic Dora for free by signing up for the author’s reader’s group newsletter (I actually bought my copy before that offer was available, and it was totally worth it). What I read this week: Short stories! “Once Upon a Coffee” by Kait Nolan is a cute, contemporary romance. 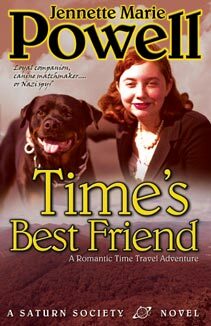 I generally prefer some suspense or speculative elements in my romance, but once in a while, this sort of light, fun read is just what I’m in the mood for. Next time I’m in that mood, I’ll definitely consider buying another in this series. “Unintended Guardian” by Jami Gold is a paranormal romance series starter. It’s a shapeshifter book, but the worldbuilding and limitations on the character were very well done, as was the characterization. I really enjoyed it, and plan on buying the next one. “Alien Mail Order Bride: Allyssa” by Meg Cooper was also a light, fun read. 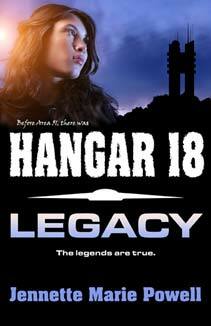 The sci-fi worldbuilding was on the sparse side, but that’s appropriate for this short a story. Also, the alien guy was pretty human–just taller (and hunkier) than most Earth men. 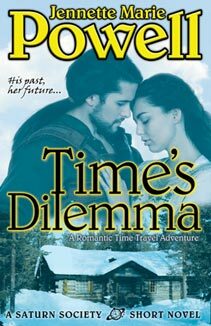 The other side of that is this story came across to me more as a contemporary romance in sci-fi clothing, but it was still enjoyable. All of these are free, so if they sound like something you’d enjoy, click the cover or title to get them on Amazon. “Coffee” and “Guardian” are also available at other retailers, for those who prefer to shop elsewhere. ROW80 Update: Two weeks ago, my goal was to go over my front and back matter for my upcoming Saturn Society novel. I actually did get that done, but not much else since then. I did, however, start writing my next book, a novella tie-in to the upcoming novel. And I made a list of all the marketing tasks I have yet to do. So this week, the goal is to get through three to five things on the list (they are relatively small things), and write 5,000 words on the novella. What about you–are you a spontaneous person, or do you do better with a plan? Have you had any disruptions to routine recently? And have you read any good books lately? Please share in the comments–I’d love to hear from you! 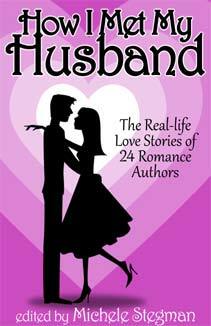 This entry was posted in Blog, Good Books, ROW80 and tagged author, goals, good books, Jennette Marie Powell, reading, ROW80. I totally empathize on the marketing vs. more writing thing. I am in the same boat. I like your idea about scheduling it on one day per week. As for schedules, I run somewhere in the middle. I like having a loose plan that I can then adapt as I go. Good luck to you on a productive writing week! I am such a creature of habit that I *need* a routine. I’m always flailing on weekends b/c my normal Mon-Fri routine is interrupted, and I have too much time vs limited which means not much gets done. Because I have a strict schedule I adhere to during the week for productivity. (Strangely enough, though, I’m a pantser. Go figure). Totally understand the frustration. You’ve made progress, however, which is better than none! I used to be an absolute freak about planning EVERYTHING. When we went on vacation I planned when and where we would eat every meal and how much it would cost, when we would take potty breaks and how long that would take, the time we would get to the hotel at the end of the day and the time we would leave in the morning. I had a great time trying to stick to this crazy schedule, but the family was not so happy. I’m a really surprised that they didn’t purposefully try to throw my plans off. Luckily for all, I have become massively more relaxed, to the point that I don’t really care if I make it to work on time sometimes. I think the key is to always find a happy medium between planning and flying by the seat of one’s pants. Spontaneous doesn’t work for me, usually. I like some plans, and I do have a routine during the week. My writing, though, is pretty much spontaneous. Or I should say what I write is spontaneous. That’s what makes it fun for me. I recently finished the Bloodlines series (6 books by Richelle Mead) and boy, what a let down once I finished. Almost like I was grieving! I could have kept on reading them. Great series! Nikki, a loose but adaptable plan is what works for me too! Erin, if I don’t have some kind of plan, I flail too! Been doing too much of that lately. Chris, a happy medium is the key–and I’m the same way about my day job. 🙂 Fortunately, they’re flexible too. Stacy, I’ve heard Richelle Mead is great! Love the puppy pic! Precious. I’m a stickler for planning as well, but if things go awry, I won’t freak out. I can improvise pretty well if I have to. I don’t plot my books too much though. I generally have an idea about what’s going to happen but not usually when or how. It keeps things fresh and fun. Your puppy is too cute! Hope all goes well with the house renting! I have to have a routine. When I write, I create a very brief plot. However, with the current book I’m working on, I flew by the seat of my pants! 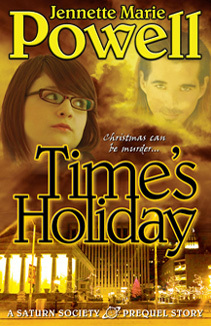 I finished it, but was never sure how it would end the whole time I was writing it. Never again will I write without direction! Patricia, freaking out never helps, does it? I try not to as well! Maria, thanks! I know some people who take a different approach with different books. And now you’ve learned what doesn’t work for you! I love to be spontaneous, but sometimes I need structure. Although when it comes to writing I am more of a pantser. I am trying to plot more, while keeping the freedom that pansting give me. Random dentist appointment are getting in my way, but still making progress. 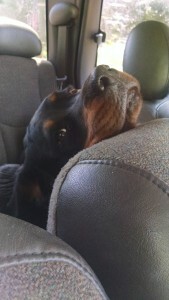 I love hearing about Isis, reminds me of my uncle’s rottie, Gypsy he had back in the day. She looks like such a goofball, lovable goofball though. Cindy, a combination of planning and spontaneity can be the best! I hear you about the dentist appointments, too. Hope those are soon over with! I definitely like to plan things, with not one but two calendars,one for writing deadlines and one for the rest of life. But I’m mostly a pantser when it comes to writing. That’s the area where I enjoy being spontaneous.